Morgan James Publishing, 9781683504023, 96pp. So you're a high school or college student who thinks you know what you want to do with the rest of your life. Or maybe you don't have the first clue about your future. 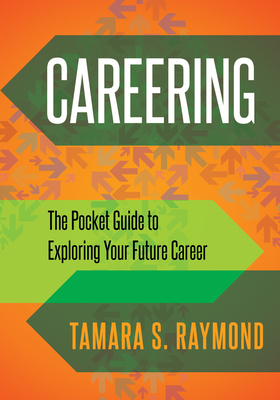 In either case, Tamara S. Raymond's Careering: The Pocket Guide to Exploring Your Future Career, should be at the top of your reading list. Tamara wrote Careering to help young adults avoid the traps she fell into as a result of struggling to figure out her career path after college. Today, this successful leadership development coach shares her hard-learned lessons to help you quickly identify your passions and strengths so you can find your way in the world of work. "I want you to avoid spending eight years in the wrong jobs like I did," she says. Young adulthood is the best time to explore, experience, and eliminate possible career paths. Careering will help you do all three--and get you on the path that is right for you. Tamara S. Raymond is the founder of Innovative Management Consulting (IMC), a premier consulting firm that helps individuals be extraordinary in their careers. She also helps organizations nurture leaders. She holds a bachelor's degree in psychology from Lawrence University. She also holds a master's degree in organizational sciences with a concentration in management and a graduate level certificate in leadership coaching from George Washington University. Tamara has extensive experience in human resources and loves helping others reach their full professional potential so they can make a difference. She is certified in one of the most influential personality assessments for people across the globe, The Birkman Method(R), which she uses extensively in her work. She lives in Newport News, Virginia.